All eyes are on the Commonwealth in this off-year election. The Democrats, and the liberal organizations who see the Governor’s race as a must win, are pouring millions into this election. Former President Obama has stumped for liberal candidates in an attempt to take a major stronghold in this key state. Incumbents, no matter what the political climate, are hard to go up against. The race for Attorney General should not be overlooked, yet is being overshadowed by the focus on the Governor’s race. Click the image below to see other vital information on both candidates. Gun control has also been a hot topic in this race. 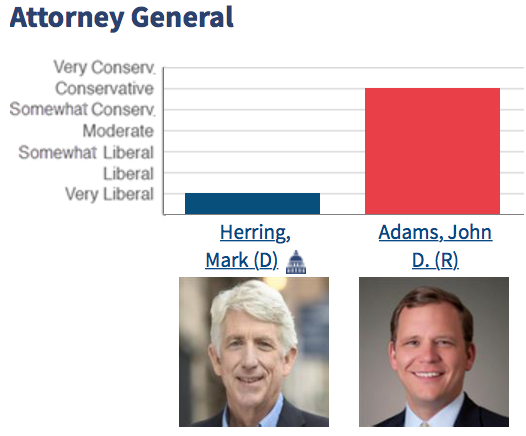 Mark Herring received an “F” from the NRA. The pro-LGBT groups have unleashed their furry this election on conservative incumbent Robert Marshall who introduced a “bathroom bill” which attempted to make it unlawful for a transgender man to enter a ladies bathroom. 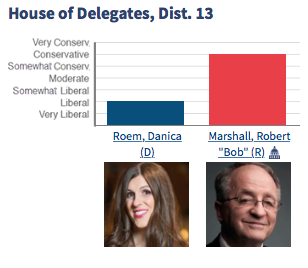 These LBTQ groups recruited a 33-year-old transgender man, Danica Roem, in an attempt to unseat Marshall. All statewide races are important! family before election, Tuesday, Nov. 7. Forward this e-mail to friends and family in Virginia. As always, please contact us with questions or concerns. 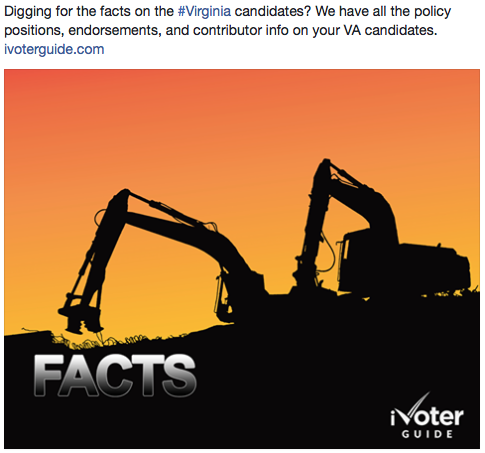 Thank you for getting this essential voter guide into the hands of voters in Virginia. iVoterGuide.comP.S. Sharing one our Facebook posts about the election will help impact the election and give more people the facts they need to vote wisely. Pass it on today before the polling places open on November 7. 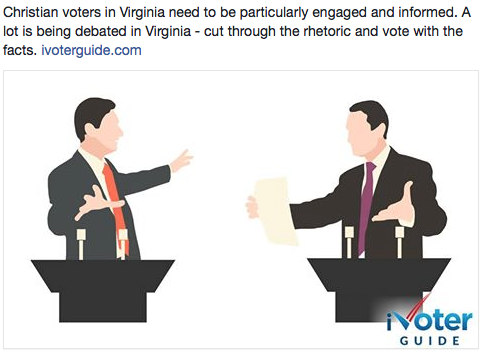 Please share ivoterguide.com on your Facebook page today!